Freddie Dixon started his carreer as a Riley Agent in Middlesborough, However for many years he was a succesful Motorbike racer, finally ending his 2-wheel career in 1928: 'I no longer had the stamina or physique for motorcycle racing, which I had given up in 1928'. 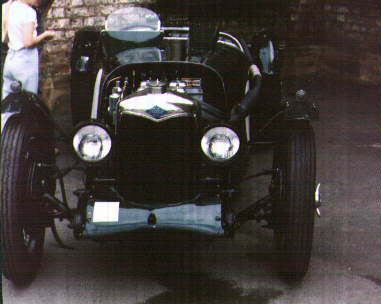 He first approached Alvis, in 1930, but they turned him away, so then he went to see Victor Riley, who agreed that if Dixon bought a Riley Brooklands, he would provide a fully race-prepared 1100cc 4-cyl engine for it. Thus, in 1932, Freddie Dixon led the works Rileys (in the car below) at the TT, before crashing out. The following year, he returned to Ards, but was disqualified fo an Exhaust Infringement, after gaining 4th place overall. But by now he had made his point, after leading the Riley works team again, although they were now running new 6-cyl cars. 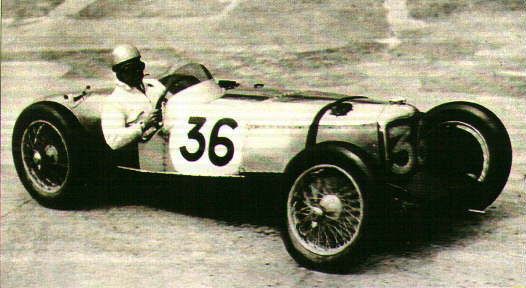 At the end of the season, so it is believed, Riley gave Dixon the 33TT 6-cyl chassis', with some engines. From these parts, Dixon was able to build 3 'Specials', with very minimal work. He is seen racing one of these in the photo above right.